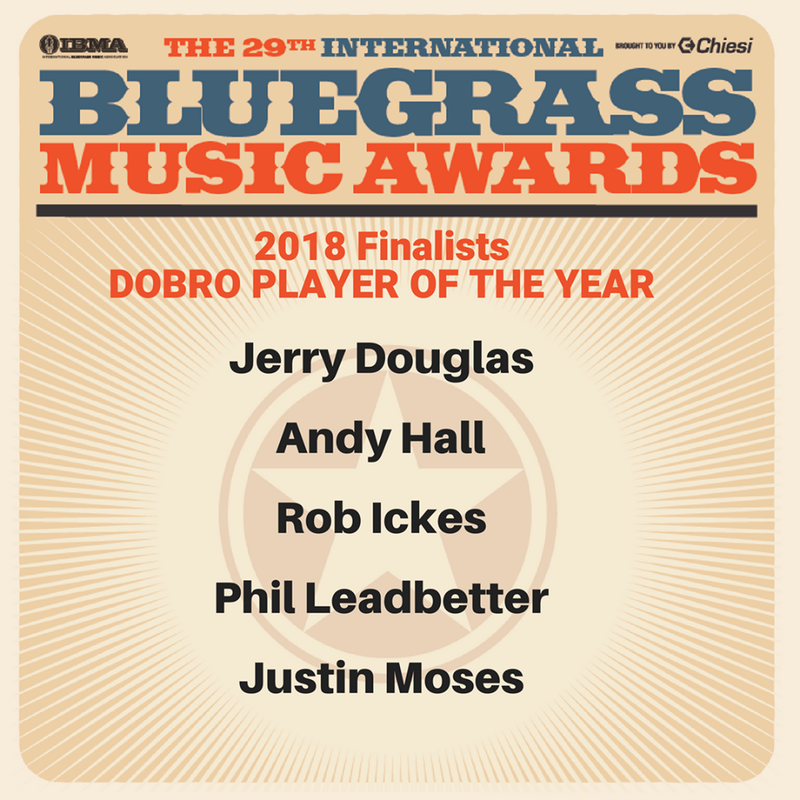 Justin has received a nomination for Dobro Player of the Year by the International Bluegrass Music Association, along with Jerry Douglas, Rob Ickes, Andy Hall and Phil Leadbetter. The IBMA Awards show is on September 27, 2018 in Raleigh, NC. This is Justin's first ever nomination for an instrumentalist award. © 2016 Justin Moses. All rights reserved.